Looking for form printing services? We offer full-color form printing and carbonless form printing services. We can help you make a polished and professional impression with custom business forms. Whether it is full or single color, you can count on us for the best. 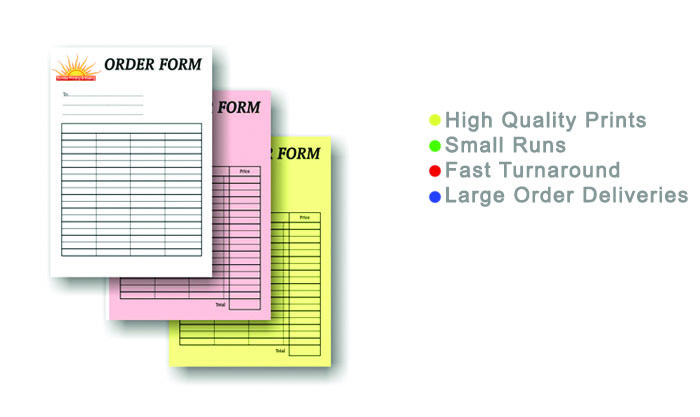 We have been printing different types of forms for various businesses since 2005. We always care about our customer's businesses because we know that first impression counts. That is why our customers love to come to us whenever they are in need of form printing services. We can help you print simple single-sheet black and white documents, carbonless form and printed-fed NCR sheets that will serve your clients efficiently. If you want your business to impress your clients and potential customers, we can help! We offer different paper options and standard sizes that will make people trust your brand. We also offer form customization based on what you need. With our affordable and fast form printing services, you are sure to get the best quality! Check out our competitive printing prices or call 702-303-5951 today for a custom quote.